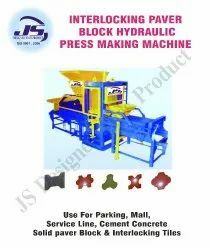 Manufacturer of a wide range of products which include automatic block making machine, earth block making machine, interlocking paver block making machine, fly ash brick making machine, hollow block making machine and solid block making machine. 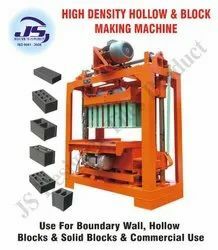 Js designer tiles product is manufacturer of automatic blocks and solid block machines since 1993 of mainly of two types like type and Stationary type and we have also started making paver/interlock machine of normal type from manual machines and semi-automatic machines and fully automatic color paving machines and today we are specialized in exporting all types of pavers machines and there is a tremendous demand in all over the world. 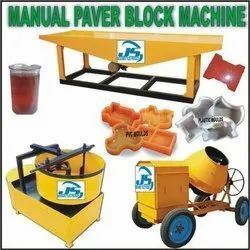 We are now also specialized in making HEAVY DUTY type Paver machine where you will get 4 pavers at a time and this kind of pavers you can even put on the PETROL PUMPS, footpaths and even any places where the heavy vehicles are moving without any problem. 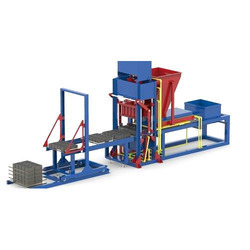 Earth block machie is another paving tiles producing machine known for producing excellent quality paving tiles. 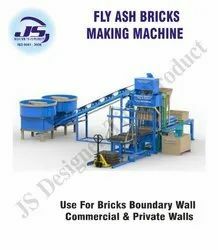 Tiles are produced with excellent finish and smoothness. 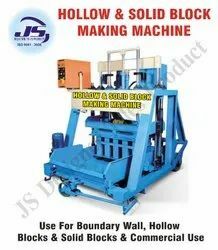 PVC moulds of required shape and sizes are supplied along with the machine. 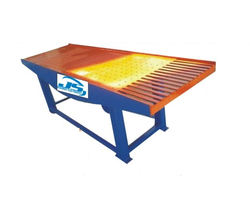 Table surface is specially prepared for smooth functioning of machine and thus enhancing the tile quality.PVC moulds of any shape and size are provided according to customer's requirement.